As you can see, we are gratified with the ambition and accomplishments of our applicants this year, but none more so than this year’s scholarship winner, Jeranda Dennis. This will be Jeranda’s first experience outside the country, and she will be the first college student in her family. She has been accepted at Kwansei Gakuin University, near Osaka, Japan, and will be a part of the School of International Studies program studying courses such as, Japanese Language, Comparative Cultural Studies, Minorities in Japanese Society, etc. She hopes to use her experience and education in the bridging of misunderstanding between different cultures, at home, and abroad. While there, Jeranda aspires to work as an English teacher, and on her return, share her experience to inspire others to consider higher education and international studies as a way to broaden individual horizons and build those cultural bridges. 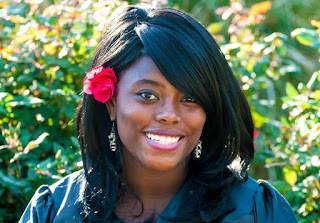 Hashi.org is proud to award this $1,000 travel scholarship to Jeranda Dennis! Congratulations!